Good morning & Happy New Year! I hope that however you spent welcoming in the New Year was a lot of fun for you...I spent mine at work, cashing up tills and serving countless people our new promotional burgers. I couldn't indulge in any kind of bubbles as I was running the restaurant, so instead we got the fireworks in London up on someone's phone and counted down in the kitchen. Celebrations aside, as it's officially 2015 now, I wanted to share with you my diary for this year as it's something I'm rather fond of, having had it for a month already and having been using it every day. 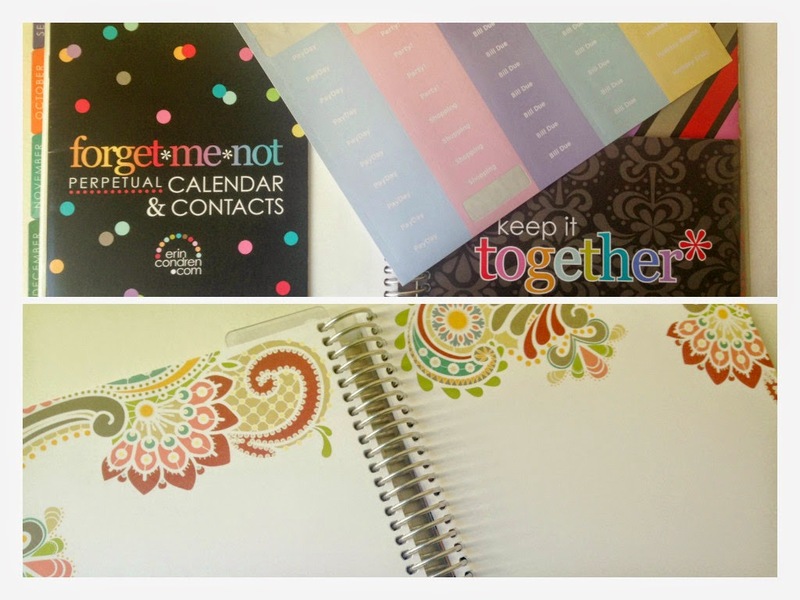 I decided to go for the Erin Condren life planner this year and ordered it back at the end of October. It made its way over to Somerset from sunny California in just under a week, having taken a week to produce with the company because it's personalised. A little warning though, if you're wanting to order one of these, the shipping will be extortionate (£30 with FedEx priority shipping *gulp*) and the diary itself doesn't come cheap either. I'd been lusting after an EC Life Planner for absolutely ages, having watched countless planner organiser videos on YouTube to satisfy the inner organiser in me so I decided to go for it...and I've not looked back! 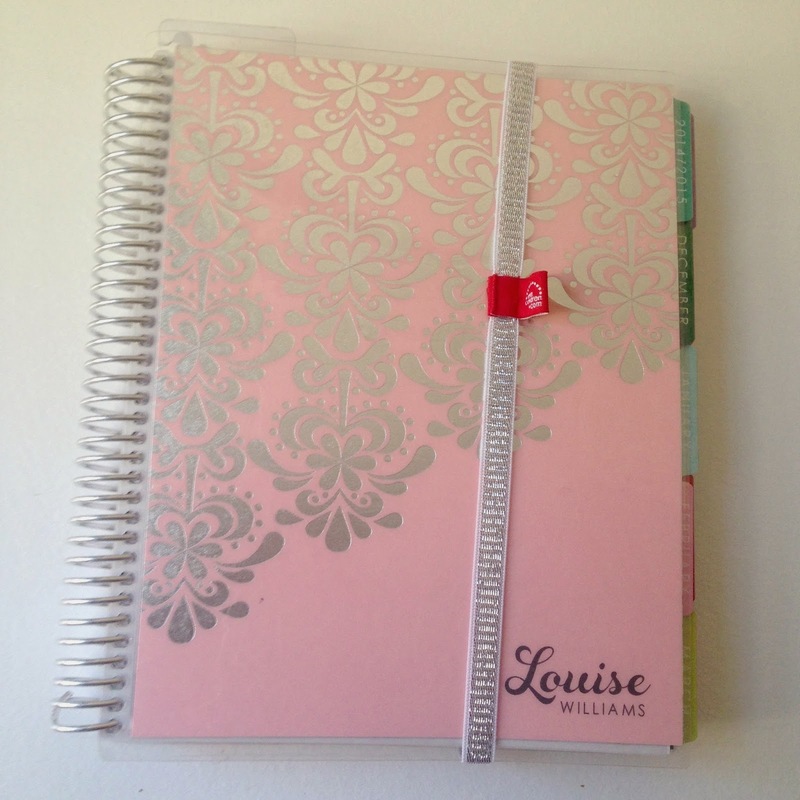 My life planner is the 2015 foil platinum edition in bubblegum which appeals to my inner magpie for shiny silver things, and I absolutely adore the baby pink colour of the cover. EC Life Planners come with a variety of different cover designs and colours to choose from (the covers are even interchangeable) and each cover is personalised with the text of your choice. I've seen people have their blog/website name on the cover, but I simply went for my name because my planner isn't blog exclusive. The inside features a number of fancy things that I find useful that other diaries were lacking for me. There's a removable perpetual calendar at the back that houses all of my important birthdays and anniversaries, a clear plastic ziploc pocket to keep important paper and pens, removable stickers to mark off important days and things to do (again sticker sheets are customisable), plain and lined sheets of paper for notes and random doodles, as well as cute little inspirational messages to perk up your day. 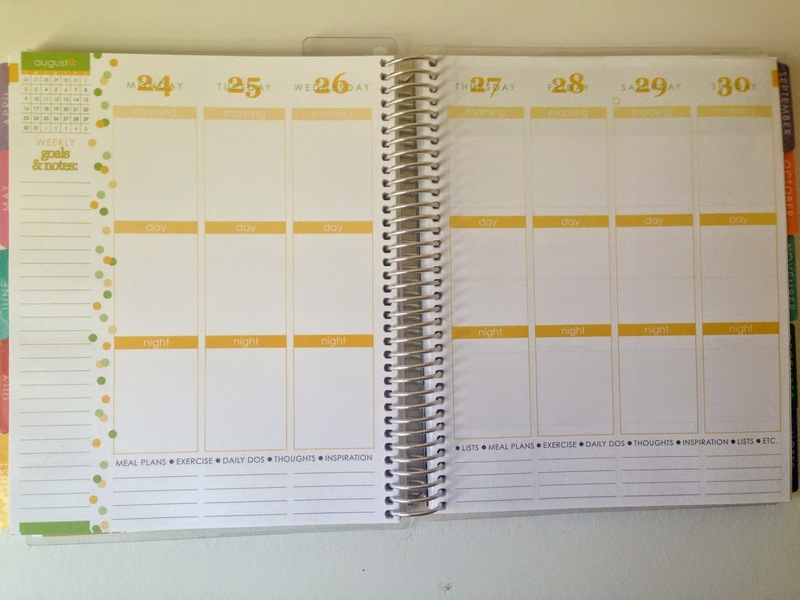 The diary itself is laid out month by month, each month is accessible by a different tab, and within each month section there's a two page monthly calendar and then each week thereafter is given two pages. I am using the month on two pages to plan out my blog posts for 2015 and I've already got lots of ideas in the pipeline for things I want to write about and photograph to properly get back into writing again...I used to post every day or every other day and I'm working my way back into a routine of doing that. The weekly pages are definitely my favourite part of this planner because of the way they're laid out, they completely appeal to my inner organiser! Each day is split into three parts, Morning, Day and Night and allows you to not be completely time bound with what you have to do as long as what you need to do gets done in the day part you've scheduled it for. The pages allow me to visualise an entire day and work around what I need to do at home versus what I need to do for work and so on. Each week also has a section for goals and notes down the left hand side of the left page where I like to write big things I want to get done that week, for example picking up a parcel from the Royal Mail depot, or sending a birthday card. I haven't quite decided what to use the lined space underneath each day for yet, perhaps meal planning or a mini food diary. When I used to use my Filofax I would decorate each page with washi tape and stickers, bits of card and fancy decorative craft pieces, a bit like a scrap book. 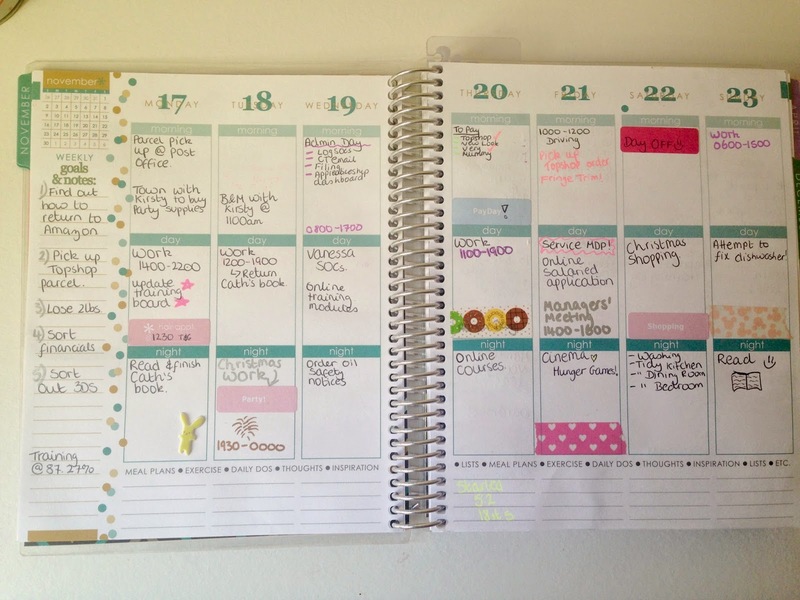 I've still decided to decorate my planner in a similar sort of way, but only using stickers and washi tape in order to keep it useable. I don't want to deal with craft pieces falling out when I'm trying to write any more! I don't keep any sort of theme running all month, just decorate the pages as I want and ensure I get maximum usage out of the planner. The week pictured above just so happens to be my birthday week where I know I'll be off work, so I made it all fancy with a cake and disney theme ready for March to roll around. So that's my planner for this year. 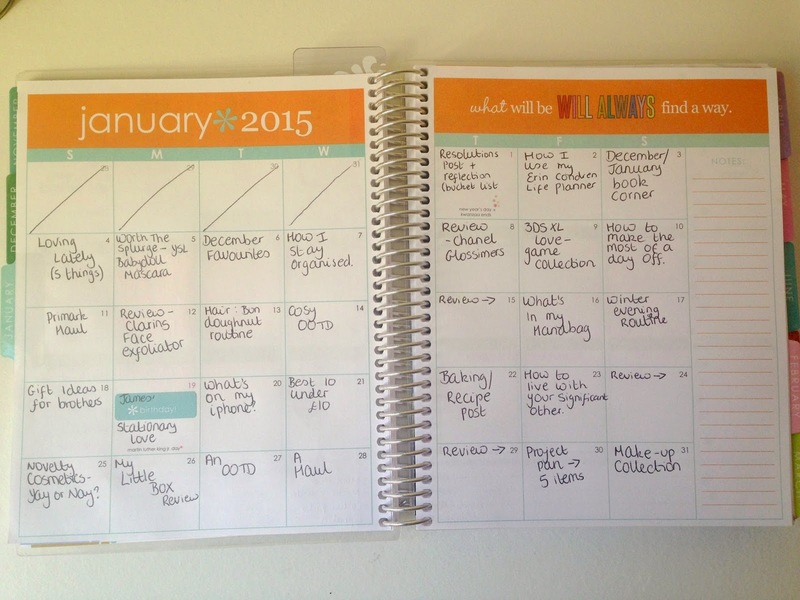 Are you an organiser like me and keep a diary / life planner? 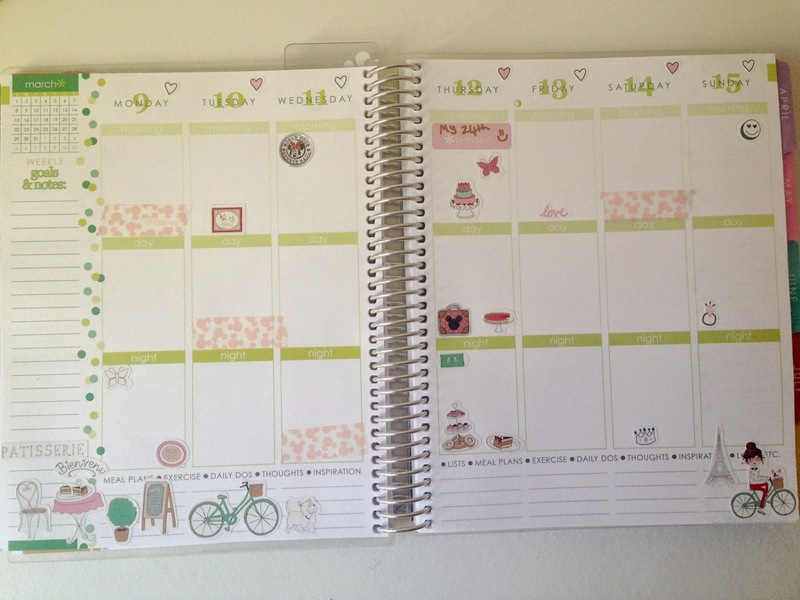 How do you like the look of the Erin Condren life planner? I don't use a planner but I have to say yours is gorgeous!